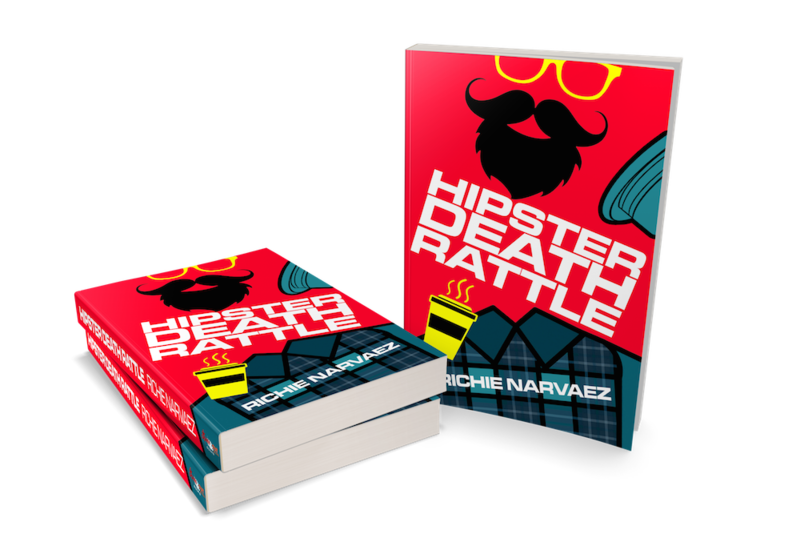 My debut novel Hipster Death Rattle is now available to pre-order. The crime fiction mystery will be published on March 11, 2019 in trade paperback and ebook formats. Get It! Get It Now! Hipsters are getting slashed to pieces in the hippest neighborhood in New York City: Williamsburg, Brooklyn. As fear and tension rise in the summer heat, police detectives Petrosino and Hadid eye local gangbangers for the crimes. Meanwhile, slacker reporter Tony Moran and his ex-girlfriend Magaly Fernandez pursue a cold case involving an old woman who mysteriously disappeared a year before. But the closer they all get to the truth, the closer they get to losing their heads. Filled with a broad cast of local characters and told with sardonic wit, this fast-moving, intricately plotted story plays out against a backdrop of rapid gentrification, skyrocketing rents, and class tension, written like only a true native could.